When you visit the island of Grenada, you can’t help but know about the island’s best-known export: nutmeg. Next to Indonesia, this island produces a huge portion of the nutmeg used in the world – and its easy to find when you’re visiting. 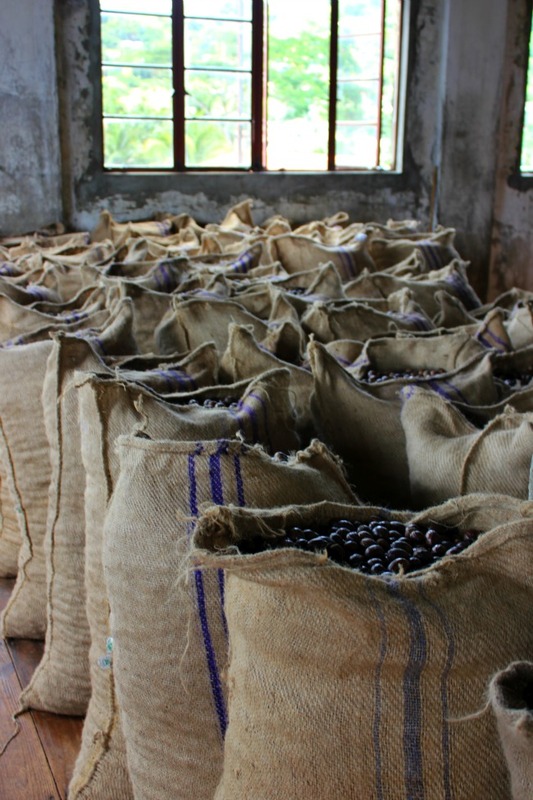 I went to one of the main export warehouses on Grenada to see the process – and was happily overcome by the scent. As I walked with the tour guide, and he explained the process of how the nutmeg was brought to the warehouse to be examined and processed before export. But all I could focus on was the scent. With the high heat and humidity, there was no escaping the scent of this dark brown seed. The sensory part of the tour probably wasn’t what most people would consider part of the experience, but for me it was almost better than tasting – which wasn’t possible during this tour. It made me realize that I had discovered what scent I will now always attribute to this island – like the way I had scent memories for India and Thailand and my hometown. So although it can’t be captured by photograph or easily written with enedless lines of adjectives, its another part of the growing travel memory base I’m creating for myself .